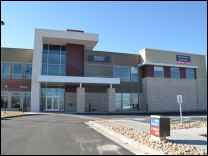 Urgent Care in South Bangerter, UT (Riverton) – No Appointment Necessary! A visit to the emergency room will more than likely leave you with a huge hospital bill, and booking an appointment with your Primary Care Physician weeks or months in advance for an urgent or concerning medical need can be inconvenient. Medallus Medical in Riverton, UT offers a brand of urgent care that successfully bridges the gap between a visit to the ER and booking an appointment with your PCP. We’re open Monday-Saturday providing you with the solutions to your urgent care needs. We provide treatment for a number of acute illnesses and minor injuries. Medallus Medical in South Bangerter accepts a wide variety of health insurance plans. We also advise patients who aren’t under a healthcare policy or have a high-deductible health plan to sign up for our Membership program, a cost-effective alternative that reduces your out-of-pocket costs. For more information on the services we provide, please call to speak with one of our medical professionals at 801-844-1600.